Akit's Complaint Department: Time to Switch from Muni Monthly Passes to 31-Day Passes? I'd push for the pass accumulator instead of a 31-day pass. It's less work for the rider and it guarantees they don't pay for rides they don't take. 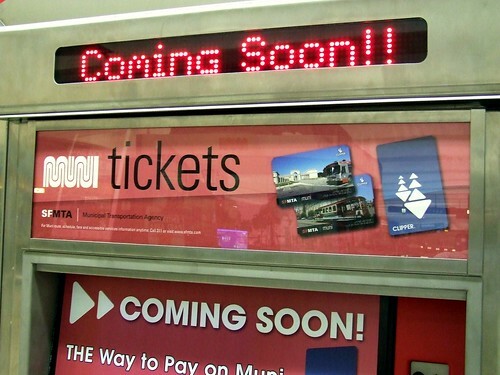 it's also less work for the transit system once the software's in place. Agree with previous commenter about the pass accumulator saving riders from paying for rides they don't take. A pass accumulator or 31-day pass whose clock starts ticking only on first use would also save the MTA itself a little bit. When I first got my Clipper card I pre-paid for a Fast Pass on the assumption MTA would mail the card in time to use the pass. MTA took two extra weeks to ship the card, so I forced the MTA to compensate me. If either of your suggested alternatives had been available, MTA wouldn't have had to pay extra. I'm sure I'm not the only one whom MTA has had to compensate, either. A pass accumulator will never happen. It completely breaks the MTA's business model of people under- or over-estimating their transit usage (either failing to buy a pass and overpaying in single fares, or buying a pass and under-utilizing it).